Durrant opened with a story about Walter Arnold – the man who received the world’s first speeding ticket in 1896. Arnold was apprehended by constables traveling in excess of 8 mph in a 2-mph zone (in a vehicle of his own creation). When brought before the local judiciary, he was fined a single shilling – the equivalent of roughly $8. This marked a new era of legislative and judicial efforts, one driven by technological evolution. 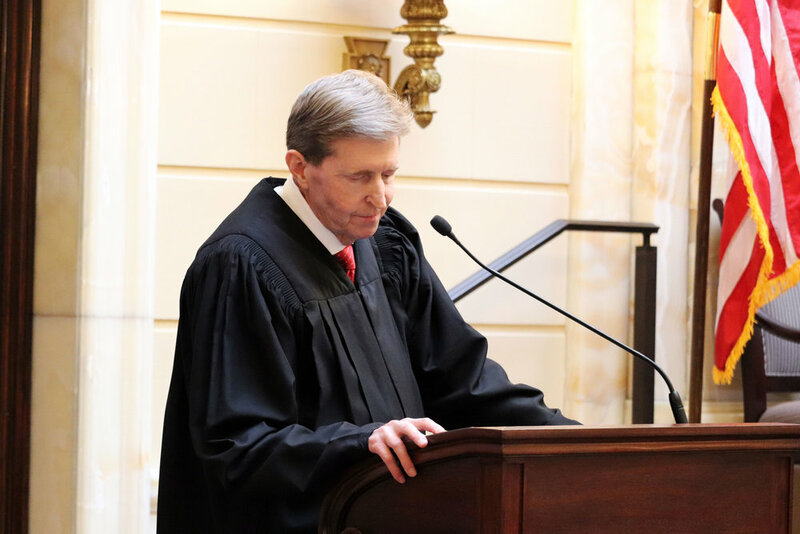 Durrant also discussed a number of proposals to be reviewed in the upcoming legislative session, including the confirmation of additional judges and the creation of new positions in an ongoing effort to better serve Utah citizens. He affirmed fidelity to the law should never be shaped by, or subjugated to, a political agenda. “Let future citizens look back and know that we honored and respected the rule of law,” Durrant said.